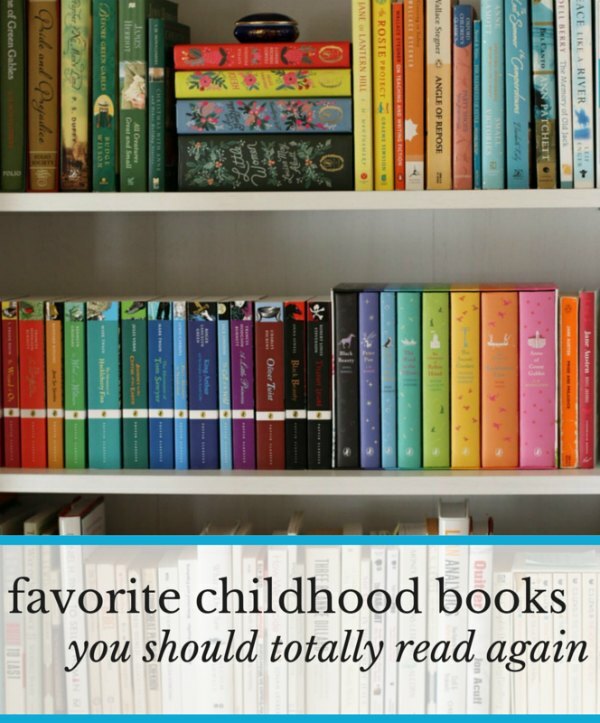 Favorite childhood books you should totally read again. In 2015 Reading Challenge, Books & Reading. You have creative license as you approach this category: some of you are re-reading a favorite childhood book. Some of you are reading a book you knew about as a kid, that maybe even sat on your bookshelves, but you never read. Some of you are reading new titles from a favorite childhood author. I’m thinking of doing this myself: I was obsessed with The Baby-Sitters Club as a kid, and I have zero desire to re-read those now. But Martin’s new YA novel Rain Reign is on my reading list, and I might read that for this category. That might be pushing it a little, but there aren’t any Reading Police around here. Today I’m sharing seven of my actual childhood favorites—the books I read and loved as a kid. I can’t wait to hear yours—and what you’re reading for this category—in comments. At its core, this is a story about a beautiful friendship between two fifth grade kids who seemed so real that my ten-year-old self could hardly believe Jess and Leslie existed only on the page. I found myself wishing I had my own magical kingdom in the woods I could escape to, and I bawled my eyes out at the end. A moving, multi-layered story about the beauty of childhood and the searing pain of loss. The prolific Cleary wrote simple (and funny) stories that kids love to read. Her characters ring true because Cleary based them on her real-life friends and actual neighbors on Klickitat Street in Portland, a street just a few blocks away from her childhood home. 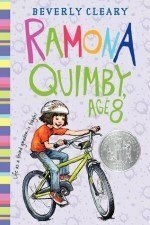 Ramona is her best-loved character: I read every book about her, many times. 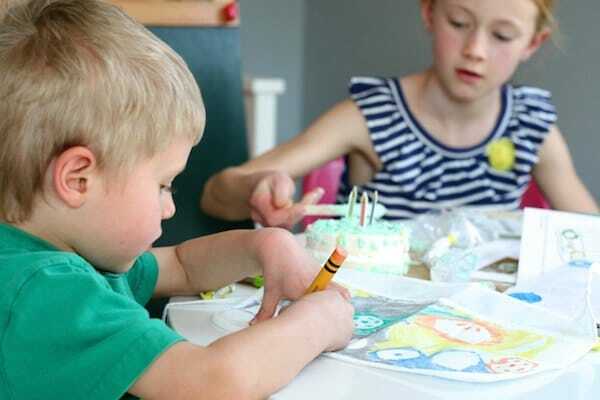 Ramona the Pest is a wonderful place to start: 5-year-old Ramona heads off to kindergarten, where she learns that kindergarten—and life—are full of misunderstandings. I probably wasn't old enough to appreciate this instant classic when I first read it as a child, but that didn't stop me. (Thank goodness.) 10-year-old Milo comes home from school one day to find a tollbooth sitting in his bedroom. Since he doesn’t have anything better to do, he pays the toll and drives through–and embarks on a strange journey into a fanciful world where he encounters all sorts of strange characters. A satisfying and delightfully nerdy book that will engage both kids and adults, albeit on different levels. L’Engle begins her groundbreaking science fiction/fantasy work with the famous opening line “It was a dark and stormy night,” and plunges you headlong into the world of the Murray family, who must travel through time to save the universe. I wanted to be Meg, of course. Wrinkle is the first—and most famous—of the Time Quintet, but I read them all, again and again. A story of a boy and his dogs, and about so much more: love and yearning, struggle and poverty, and hunting—which means it's necessarily about death. My fifth grade teacher made a class of thirty students cry, excepting none, when she read the final chapters aloud. Of note: Rawls spent twenty years writing this novel, then burned it out of embarrassment. Lucky for us, his wife encouraged him to write it again, and he dashed off the whole thing (sans punctuation) in three weeks. Originally published as an adult novel, it still didn't sell until teachers and students got ahold of it. The first of many, many mysteries I would come to read in this highly addictive series published under the pseudonym of Carolyn Keene. This is one of the all-time bestselling children's books in English: it's sold nearly 3 million copies. The writing may not hold up on an adult's re-read, but I love the Nancy Drew series anyway: she's smart, she's brave, and she's the one rescuing her boyfriend, instead of the other way around. What were your favorite childhood books, and what are you reading for this category in the reading challenge? Previous: Chef for a day. Greensleeves by Eloise Jarvis McGraw — and it’s just newly back in print thanks to Nancy Pearl and her Book Crush Rediscoveries! I loved the Trixie Belden mystery series as a child, and recently read aloud the first one in the series to the 11-year-old. It was fine, but no where near as good as I remember. I read those too and loved them at the time. Not sure they’d stand the test of time though. I read ‘The Heart Is a Lonely Hunter’ as a young teen. I’d read that again in a heartbeat! I liked Member of the Wedding Better, “Heart…” is great too! Sorry… Didn’t finish…loved Treasures of the Snow growing up!! I hardly ever read but that one I read many times! From the Mixed Up Filed of Mrs. Basil E. Frankweiler, and the True Confessions of Charlotte Doyle. I also enjoyed the “Mandie” series. From the Mixed Up Files is the so great! And if you loved The Mixed-Up Files, have you read The View from Saturday? Another by E.L. Konigsburg and so, so good. All of a Kind Family series by Sydney Taylor. Thankfully my mother saved these because they are out of print now (except maybe the first) and I’ve read them to my daughters. I was reading my daughter All of a Kind Family (which we managed to get off Paperbackswap) …. and she threw up on it. HORRORS. Out of print? I also love this series – I will have to find copies ASAP! Ooh, yes, All of a Kind Family! We have the first two and our library still has the others but this series needs to be re-released ASAP! If I return to childhood favorites I usually reach for the Little House Books, especially Little House in the Big Woods or Farmer Boy. I was and am a BIG Little House fan! My favorite is On the Banks of Plum Creek, but I read all of them multiple times. My dad finally gave me the boxed set when I was 10 as a reward for a good school year. I was ecstatic! Oh, definitely All of a Kind Family. I loved those books when I was a girl – the large, loving family, the setting which was totally different from my small California town. How about Elizabeth Enright’s The Saturdays (and its sequels) or her Gone-Away Lake? The Saturdays made New York seem so magical. Enright is excellent at establishing a sense of place in her books! Another author who I loved as a girl was Zilpha Keatley Snyder, especially The Velvet Room and Season of Ponies. 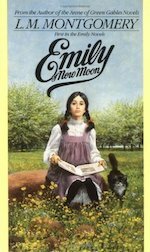 I didn’t read Lucy Maud Montgomery until I was an adult, and sorry, but I never want to re-read the Emily books. Teddy’s freaky mom and Dean Priest creep me out. Maybe I should re-read Jane of Lantern Hill this month. Yes! I thought my sister and I were the only ones who’d ever read All-of-a-Kind Family! Sis and loved the food descriptions – I want to get a variety of broken crackers from a barrel and hot chickpeas in a cone of paper from a street vendor! I have my original, very worn copy (I am 71) given to me by my grandfather. Oh, I forgot about Caddie Woodlawn! Loved that one. I also had “The Bad Times of Irma Baumlein” which was funny but not nearly as good as Caddie. 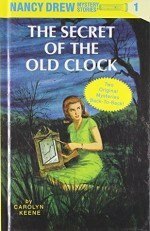 Nancy Drew was my mom’s introduction to me of my favorite genre–mysteries! She even had The Secret of the Old Clock that came in the blue cover with the orange cover cut of Nancy! I still have it. I will always be forever grateful that she did that. 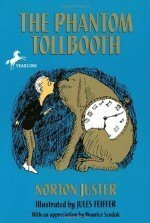 I’m currently reading The Phantom Tollbooth aloud to my kids. I never read it as a child but am glad I’m doing so now. The author’s play on words has me laughing out loud every 2 minutes, as my kids stare at me in bewilderment (most of the irony is going right over their heads). I read voraciously as a child. The favorites I remember best are the Betsy-Tacy books, Ramona, the Fudge books, All of a Kind Family, Little Women, The Secret Garden, and Charlotte’s Web (and other EB White books). I loved Boxcar Children, too, but I’ve been trying to read the first one to my daughter and it’s not been the enchanting experience I was hoping for! For the challenge I am going to reread Mandy by Julie Edwards (you know … Julie Andrews, only she went by her married name to write). I looooved it as a kid but I don’t remember very much about it, other than that it was sort of Secret Garden-like. I loved Mandy, but I did read it as an adult when I was a children’s librarian! OOH if you loved Mandy, you should try The Last of the Really Great Whangdoodles! I love pretty much everything Julie Andrews Edwards has written! Oh, I liked that one as a kid, too! I liked that one too!!! Add me to the list of people who LOVED Mandy. The whole idea of having a secret cottage all to yourself so appealed to me, as a middle child with 4 siblings in a tiny house with one bathroom. And the Betsy-Tacy books too! I want to re-read those so badly. I loved Nancy Drew, the Borrowers series by Mary Norton, anything by Dr. Seuss, but especially Horton Hatches an Egg, and the Madeline series by Ludwig Bemelmans. My childhood was in the 60’s and 70’s and I loved reading as a child, so there were so many books I loved. My parents subscribed to the Weekly Reader Book Club and it was through this that I read so many wonderful stories: We Were Tired of Living in a House by Liesel Moak Skorpen and Christina Katerina and the Box by Patricia Lee Gauch and Andrew Henry’s Meadow by Doris Burn were additional favorites. thanks for this trip down memory lane and now I’m off to see if I can buy these books for my personal library! I loved The Borrowers as a kid. What fun it would be to read them again. Weekly Reader Book Club was a source of delight to me in my elementary years. For the challenge, I am rereading the Betsy-Tacy series by Maud Hart Lovelace. Other favorites: the Anne of Green Gables series, Little House on the Prairie series (was there anything better than going to the library to get the next book(s) in a series you loved? ), the Beezus/Ramona/Henry Huggins books, Mandy, by Julie Andrews Edwards, The Secret Garden, and the Betsy books by Carolyn Haywood. When I first read the title Ramona immediately came to mind. My absolute favorite as a child. Great post! I read the Phantom Tollbooth three or four times in third grade; I’ve gone back to it a few times since then, and still love it so much. I also really like the Boxcar Children series as a kid, and am hoping to start reading them aloud to my boys (ages 3 and 4) soon. Whoa. The Carolyn Keene Wikipedia entry just rocked my world. I had no idea it was a pseudonym and they were written by many people! Oh, and my favorite book series from childhood was the Mandie books by Lois Gladys Leppard (starting with Mandie and the Secret Tunnel). I love that you mentioned Emily of New Moon. She was always my favorite (along with Magic for Marigold). And Madeline L’Engle – although I always kind of liked her series about the Austins best. Can I confess there are just a few literary characters, that even as an adult, seem very real to me? Hopefully I’m not the only one that never grew up in that sense! Great books on this list–mine are any LM Montgomery, the Little House books, Secret Garden and A Little Princess. I think the Ramona books are even more entertaining as an adult, I don’t know that I always knew how humorous they were although I did enjoy them when I was little. I also liked Treasures from Grandma’s Attic and like it now for similar reasons. Ralph and the Motorcycle, Johnny Tremaine, Charlie and the Chocolate Factory, How to Eat Fried Worms, The Best Christmas Pageant Ever. I just finished re-reading the Artemis Fowl series, and while it isn’t from my own childhood I think it was well worth the time to re-read. The classic from my own childhood that I love to read over and over is A Fly Went By, followed closely in my opinion by Go Dog Go. Dog is a delightful romp, but Fly is positively Aristotelian in its story structure. Plus it’s a hoot of an adventure. Also, the Jean Craighead George books including Far Side of the Mountain, Tree Castle Island, Julie of the Wolves. And the Will Hobbs books including Downriver, The Maze, Ghost Canoe, and Kokopelli’s Flute. I loved all of these as a child. I was in a Babysitters’ Club Collectors’ Club, so I have probably 200 or so of them (including the special and mystery editions). They don’t hold up all that well upon rereading as an adult–but I spent too much time collecting them to get rid of them! I love the Emily series as well. I have decided that the essential difference between this series and the Anne series is that Anne is more lovable, while Emily is more relatable. Both are lovely! I also am curious about which books people disliked as children. I hated Island of the Blue Dolphins when I had to read it in fifth grade because I found it horribly depressing. And I will admit that I never liked “The Cat in the Hat.” When I was four years old, I had a very stressful week in which I was convinced that cat was going to show up at our house and create all kinds of havoc. And “The Hundred Dresses.” How could I leave that one out? Oh, I read that story, I thought it was so sad. I first read “The Hobbit” when I was nine years old and thought it was a history book! My dad gave it to me, along with a binder to use for a reading journal, and the first line of my entry for “The Hobbit” reads: “How come we don’t get to learn Middle Earth history yet? Is that for college?” Ha ha ha! Yes to all of these! 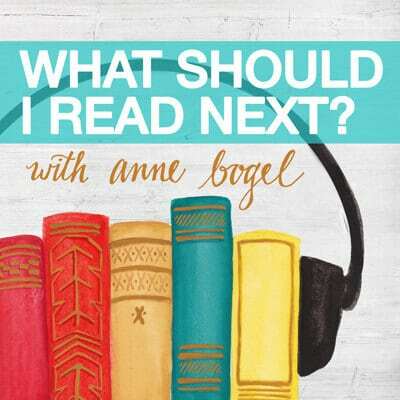 I read ALL the time as a kid, and would love to re-read other faves like the Anne of GG series, Jane of Lantern Hill, the Redwall series, Island of the Blue Dolphins, the Little House series, Rebecca of Sunnybrook Farm, Girl of the Limberlost…there are just too many! 🙂 I’ve had a blast reading some of them aloud with my kids though. I just finished reading Old Yeller. Sniff. Won’t be able to do Where the Red Fern Grows any time soon. But I want to eventually. I’ve never read that one. I loved Pippi Longstocking as a child. I recently founds out that Astrid Lingren wrote other books. I am looking forward to reading Ronia, the Robber’s Daughter. When I was six or seven years old, I wanted hair like Pippi Longstocking’s! I loved Pippi! She was so much more adventuresome and assertive than I was! 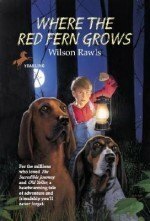 I have never read “Where the red fern grows”, but my daughter loves it and has re-read it several times. My favorites were the “Nancy Drew”, “Little House” and “Cherry Ames” series. There was another series written by Carolyn Keene that featured two sisters, but I don’t remember the name. We had an small library at my grade school, but it was well stocked with mystery series. Ah, someone else who read Cherry Ames! I had three of them, passed down from my mother, and they’re still on my shelf now. I read them over and over, but I think my favorite of the three I had was “Cherry Ames, Flight Nurse.” It took place during WWII and I loved any historical fiction that took place then (still do!). I wonder if I could find any more Cherry Ames books now? eBay possibly? The entire “Cherry Ames” series is on Vermont Country Store. You can try their website. I bought the first set a few years ago. The Dana Sisters mysteries – they were even better than Nancy Drew (which says a lot for me)! L’Engle’s Austen series (ok, all of L’Engle, but really, A Ring of Endless Light), and everything by Zilpha Keatley Snyder (The Changeling, The Headless Cupid, The Egypt Game). Really – gotta put a plug out there for Snyder – I love love love her books! And of course, Lucy Maud Montgomery (The Story Girl) and Laura Ingalls Wilder. I don’t remember a thing about A Ring of Endless Light, but I do remember it as being one of the most beautiful and amazing books I’ve ever read. I love the Ramona books! One of my girls WAS Ramona 🙂 We would read the books and her sister and I would be smiling at each other the whole time. I still enjoy The Mixed Up Files of Mrs. Basil E. Frankweiler, too. And all of the Little House Books and Anne of Green Gables. I still read Little Women and it’s my daughter’s favorite book. Such a good list! When I originally saw this category when I got the reading challenge, I knew I would read Where the Red Fern Grows. It was my favourite book for so many years growing up, and I would choose it for my book report book every grade in school. I think I’ve yet to meet another person who has even heard of it, so I’m so glad you included it today! As a child I loved the Hollister family books, Boxcar Children, anything by Lucy Maud Montgomery or Louisa May Alcott. I would spend all my allowance and any other money I got on books, either used at the thrift store near our house or new via Scholastic books at school. Found a lot of used Nancy Drew, Cherry Ames, etc. Bought most of the Trixie Beldon series new. “Mrs. Mike” and “That Jones Girl” were a couple of favorites in high school. Joseph Lincoln wrote a number of books based in New England that I enjoyed, especially “Galusha the Magnificent”. Other favorite authors during high school included Emilie Loring, Janet Lambert and Rosamund du Jardin. Side note: Mini childhood trauma=starting high school and learning that there will never again be a Scholastic Book Fair. Oh, I feel your high school pain! I LOVED those Scholastic book fairs. Growing up, my mom gave me several of the Cherry Ames books *she* had as a child. I enjoyed those very much! ANN MARTIN HAS A YA BOOK!!!!! My day is officially made!!!!! Ah, childhood memories. I have so many good ones involving libraries and books. I love reading children’s books to my kids. It’s a wonderful experience and as an adult, you pick up on so many things a child may miss or not appreciate. Unfortunately, I didnt read A LOT of classical books when I was younger; but I’m glad I have the opportunity to do so now with my kids. And an excellent children’s book is one that both adult and child can enjoy. I love practically all the books on your list, especially the Emily of New Moon series. Really, anything by LM Montgomery are my favorites. Also, the Ramona, Fudge series, Nancy Drew (the old school ones). Another huge favorite of mine that are really hard to find now are the Macdonald Hall series by Gordon Korman. He has written many other books since then, but these were the first that he wrote and they are uproariously funny. I remember my teacher reading them out loud to our class in elementary school and we laughed until we cried. Other great Korman books are I Want to Go Home! and the Bugs Potter books. Loved them…now haunting Amazon to see if I can find them for my own kids to read. Gordon Korman!!! I loved those books. So many great memories reading those with my sister and laughing away. He wrote the first Macdonald Hall book when he was 13. Inspiring. I also loved The Great Brain series. Sibling dynamics were hilarious. Brian Jacques Redwall series, especially great to read aloud. The Scarlet Pimpernel series by Baroness Orczy. Which I reread so many times. I can’t wait to read old favorites and new with my own little ones. There are so many books I vaguely remember and know that i loved as a kid, but I don’t quite remember the titles – I WISH I could reread! My mom would go to the used book store and just buy a big paper grocery bag full of books and we’d just tear through them. There was one about a girl and her best friend who were turning 13 and entering the 8th grade, I think in the mid/late 60’s because the main character obsessively listened to “Mr. Tambourine Man”. They went to the beach together for summer vacation and went on the boardwalk, the main character was good at art and wanted to work for Disney. The story was about them changing and growing up and a little apart and how difficult but maybe ok it was. I read it a million times as a kid and yet I can’t remember the name. Alas! 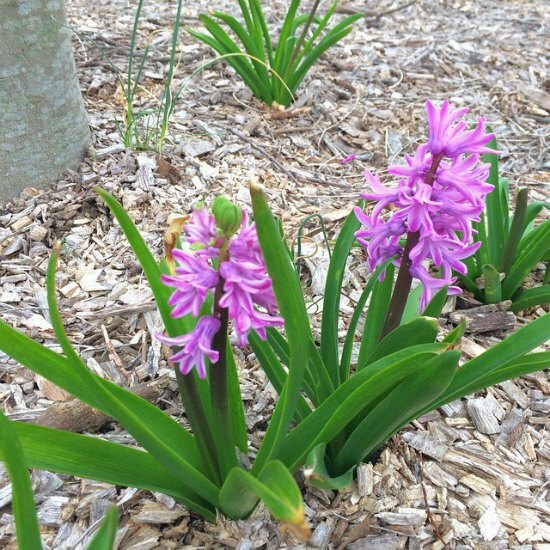 By carol ryrie brink is the one you’re thinking of right? I’m going over to Amazon RIGHT NOW to find it and order it! I think I read this one as a kid, too. I really hope someone can place the title for us! Lulu64, I think the one you’re talking about is called Thirteen by Candace Ransom. I just saw the cover on Goodreads, and it immediately transported me back to my middle school years. Apparently it’s a series, with one called Fourteen & Holding and Finally Fifteen. I know what I’m reading for this category in the challenge! Haha. I was all about those Scholastic books (the apples!) as a kid, and didn’t develop a taste for the really good stuff (like Montgomery’s Emily books) until high school/college. Oh, the apples! How I loved those. And now I’m going to be thinking about the Scholastic book orders all day, those lovely flimsy paper catalogs you’d get in class! I was so excited when I got to pick out my one book each time. Thank you, thank you, thank you!!! I’ve been trying to figure this out for years. All I could remember was the obsession with “Mr. Tambourine Man.” This is it!! Maybe I missed it, but no one mentioned Harry Potter! The first one came out when I was in 5th grade, I still remember when my mom bought it for me at the book fair during parent teacher conferences, I was so thrilled! It was one of the few series I would receive (or later, purchase myself), as they were published. HP will always be one of my favorite series, and I still read all seven books every year. But I was *mumble mumble mumble* years old when “The Sorcerer’s Stone” was published! They’re the books of my kids’ childhood. Oh my goodness, I can’t believe I left those out. I read The Sorcerer’s Stone for the first time when I was eleven. When my brother was old enough to read them we’d have long discussions about them, and quiz each other on quotes from the books and the movies. He bought books five, six and seven himself from Scholastic Book Fairs and wouldn’t let me read them before he did first (although I’d sneak into his room and read them anyway!). I’m so surprised no one has mentioned this book already, but I was obsessed with Roll of Thunder, Hear My Cry by Mildred D. Taylor. It was the first in the Logan Family series, although chronologically The Land tells the story of the first Logan. It was an incredible experience reading those books. The Number the Stars was also a favorite of mine along with A Little Princess. Any Beverly Cleary books. Loved Ramona but also the Henry and Ribsy ones too. Chronicles of Narnia- I re-read these until my copies fell apart. This list brings back so many great memories! Did you have Battle of the Books as a kid? Our city’s school district did it. Each fourth and fifth grade was divided into teams of 4 kids and they were given a list of 50 books to read, then they did a trivia game based on the books. The top winners of each school faced off against other schools. Everyone really liked it. My son’s school is now doing Battle of the Books, and the list really hasn’t changed much since the classics still hold up! I was a big Babysitter’s Club fan too. I easily read the book in a day. I was so sad when I found out they were ghost-written. Even though the books were hardly high literature, they sure developed my love of reading. I love all the titles other ladies have mentioned. We also liked Goneaway Lake and Return to Goneaway Lake, as well as anything by Edward Eager. A favorite of mine as a child that I recently found on PBS was Jane-Emily by Patricia Clapp. as a loved of Kid and YA Lit, run, don’t walk, to get Rain Reign. Beautiful book. I read Sarah, Plain and Tall for this. One of my favorite books. So short, yet so full of emotion. I was obsessed the Little House series growing up. As I got older, different books in the series resonated with me. I was a huge fan of the “Emily” series by L.M. Montgomery. Of L’Engle’s books, “A Ring of Endless Light” was probably my favorite–with “A Swiftly Tilting Planet” coming in a close second. For this challenge I might reread “Number the Stars.” Such a beautiful book. Lois Lowry’s Number the Stars–an age-appropriate introduction to the Holocaust. I hadn’t noticed before that the previous reader mentioned this! If you liked Number the Stars, you should read Snow Treasure. It takes place during WWII in Norway. Great adventure story! I have taught both 4th and 5th grade and some of my other favorite children’s novels are The Witches by Roald Dahl, The Lion The Witch and the Wardrobe by CS Lewis, Call it Courage, The Tale of Despereaux, The Castle in the Attic, and probably many more I can’t even think of. I just finished reading The Invention of Hugo Cabret to my class and they loved it. It is a novel that is also told through beautiful black and white pictures. My students also all love the Percy Jackson series and the other series by Rick Riordin. I could weep seeing some of my childhood favorites here that I had forgotten about. I only read them once during a few brief years when I had access to an American school library in the country where I was living, so, many years later, I can only remember some and have forgotten many others. I still feel the excitement in my fingertips when I think of that library and the books I enjoyed. Thank you because now I can find these gems, read them again and pass them on to my children too. Ramona and Pippi and James Herriot stories were several of my favorites as a child. The Sugar Creek Gang were my husband’s go-to books. I have been checking out Nancy Drews lately. While my daughter roams around the library stacks, I pick one up right there. I had forgotten how much I love them!! I read the BFG by Roald Dahl to my daughters as part of this challenge and a challenge to read 12 books to my daughters this year. 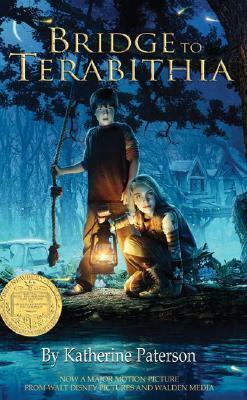 A Bridge to Terabithia was the first book I ever read that made me cry…Such a beautiful story! In addition to my obsession with the Boxcar Children and Laura Ingalls Wilder, I loved The Giver, Jackaroo, Sign of the Beaver, Jacob Have I Loved, Diceys Song, Caddie Woodlawn…so many more!!! It’s so fun to think back on all these great adventures!!! Ella Enchanted by Gail Carson Levine. I read it as a kid and have read it at least once a year ever since! The audiobook is also really good! 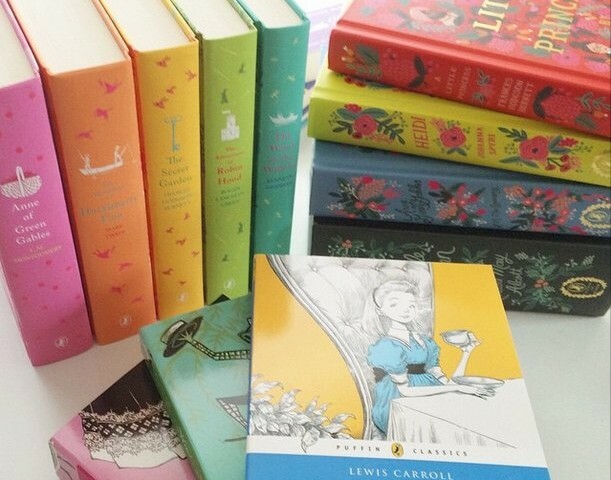 When I was 7 I was given Lewis Carrolls Alice in Wonderland and Through the Looking Glass and I fell totally in love with them, to the point that now I am an adult and a writer I actually write about them. I also loved Ramona and Wrinkle in Time. As I am English, I was a big fan of Enid Blyton, specially Famous Five. I also loved a book called “Star in the hand” by E F Stucley, now I read it again it is a wonderfully written book about early 1900s Cornwall. It is about a poor boy who knew he would become a star and it is full of period detail. At primary school I loved “A Little Princess’ and reread it many times. I did not realize it was a classic though and never read The Secret Garden. I might have to make up for lost time and read it now. Other favourites include Kit Hunter show jumper series, The Black Stallion series, My Friend Flickr, Trixie Belden series, The Famous Five and Mrs Frisky and the Rats of Nimh. I didn’t read any of the Little House books, or Ramona books – I never came across them. I did try to read Alice In Wonderland as a child but hated it. Beauty by Robin McKinley — Even as a cynical young adult, I thought this novelized version of Beauty and the Beast was so romantic. Swoon! Charlotte Sometimes — To this day I cannot resist a time-travel novel. The Children of Green Knowe (and other books in the series) by LM Boston. 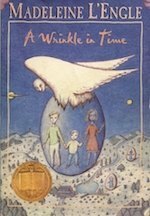 A Wrinkle in Time introduced me to science fiction/fantasy at a time I needed that in my life. Amazing book. You are so right about Where the Red Fern Grows, tears every time! All the “Anne” books, of course. The Boxcar Children series (my favorite was the second in the original series, “Surprise Island”). A Little Princess and The Secret Garden, both by Frances Hodgson Burnett. And a lot of others. The library we went to when I was little had a blue ribbon sticker on all the Newberry Award winners, and I went through and picked all those before I read anything else, once I was old enough to understand that Newberry Award winners were among the best. 🙂 I don’t remember all the titles, but I don’t think I was ever disappointed! For me it’s the Lion, the Witch and the Wardrobe or anything from the Narnia series! Or Little House on the Prairie. Naturally, I have bookmarked this post, for titles. I love the Emily Starr books and Madeleine L’Engle’s time quintet, although I didn’t read either set until college. I’m planning on reading On the Banks of Plumb Creek by Laura Ingalls Wilder for the reading challenge. I remember it being my favorite of the series, but I can’t remember why. I’m looking forward to re-discovering it. I read Sue Barton, too. If memory serves, it was better written than Cherry Ames, tho I read her, too. A few current read alouds that I am loving (and my kids are too) are: Homer Price, A Little Princess, Charlie and the Chocolate Factory, and The Family Under the Bridge. Personally, this is my favorite genre to read because I know it is “safe” and yet it covers real, hard topics to think and process. I just discovered your 2015 Challenge – I can’t wait to read through the plan and follow along. I read Are You There, God? It’s Me, Margaret a whole lotta times. What Katy Did was a favorite of mine that I read over and over growing up. And I love Nancy Drew as well- how the books take place in the 50s (I think?) and the mysteries she solves. I want to look into many others on your list! There was a series of “We Were There” historical books that each volume was another famous person like Davy Crockett, Kit Carson, Geronimo, etc .. can’t find them anymore. Was a great way to become acquainted with many of our country’s heros and famous people. Best ever. I’m ashamed that I’ve only read two of the books you mentioned above (and had Where the Red Fern Grows read to me, though we don’t talk about that, that book is way too sad for me!) Looks like I have a new list to work on! Charlotte’s Web! And other books by EB White. I read it when I was 10 and loved it and sobbed through the end. I can’t believe my kindergartener’s teacher is reading it to her class, but I will be rereading it. I am intrigued that I had only read one of the books on your list – Carolyn Keene. Maybe that’s a UK/US thing. I was a voracious reader! Chalet School – totally addicted and still collecting! I’m sure there is more I can’t think of right now. Thanks for a trip down memory lane, and the introduction of some stuff I have never heard of. The Prydain Chronicles. Best. Books. Ever. Lloyd Alexander wrote a number of other great books too. The coolest thing is that I wrote to him when I was a kid and he wrote back. Then, my daughter wrote to him when I read he books to her and he wrote back again! I loved reading the Prydain Chronicles to my kids! We still quote lines from the books, particularly Gurgi’s “crunchings and munchings”. And my “kids” are 32 and 29 years old! I loved The Indian In the Cupboard as a kid and recently enjoyed experiencing it again as I read it to my son. I love some of the books you mentioned. I’ll have to check some of the others I haven’t read. I would add Tuck Everlasting, and a bunch of others. I do re-read “kids'” books since we are homeschooling. 😉 Yup. That’s my excuse, and I’m sticking to it. So it’s December and I’m commenting on a post from last April, but I don’t care–I love children’s books. My inspiration to comment here is seeing that Jennifer wrote Rifles for Waite, by Harold Keith. I read that so many times when I was young and have an old, beat-up copy on my bookshelf now. I never knew anyone else who read that book. I’m always so afraid my childhood favorites won’t have the same kind of magic they did when I first read them. It’s always a catch-22 for me. From the Mixed-Up Files of Mrs. Basil E. Frankweiler, by Konigsburg. I re-read it as an adult when one of my kids was reading it and I thought it was still really fun. I LOVED it when I was a kid, it completely captured my imagination. I know this blog was 3 years ago, but it came up today, tantalizingly, and I had to comment! Books we loved as children. Understood Betsy by Dorothy Canfield Fisher. If you’ve never read it, you are missing out on one of the best, most satisfying YA books EVER!! My mother fell in love with it and with Vermont, as a poor, lonely child, and later, we children read it and loved it. I recommend it to everyone. I read nearly all the 146 comments already posted and finally saw my favorites listed, including The Narnian Chronicles, The Black Stallion series, the My Friend Flicka series, and Nancy Drew, Wrinkle in Time, The Princess Bride, charlie and the Choc. Factory, The Scarlet Pimpernel series, and Cherry Ames. I have to add that I did NOT like the usual childhood classics, such as Little House (too boring and slow), Anne of Green Gables, Wind in the Willows, Black Beauty, Heidi, Peter Pan, Mary Poppins, Old Yeller, Wizard of Oz, or the Hobbit. Just couldn’t get into them. My mother pushed, many were her favorites. Oops, forgot to recommend “Enchantress to the Stars” by Sylvia Louise Engdahl, and the rest of the series. I still own Enchantress. Also, John Christopher’s Sci Fi books. Loved Sci Fi! Misty of Chincoteague is my all time favorite.I finally went to Chincoteague as an adult. The Bobbsey Twins,Nancy Drew,Beverly Gray,Judy Bolton,American Girl,Dear Diary,Dear America,Little House,Mandie,Betsy-Tacy,Anne Of Green Gables,Emily Of New Moon, Ballet Books,Elsie Dinsmore ,Millie(Author Martha Finley),Camp Fire Girls,Grandma’s Attic,Anne Henry,The Northwest Adventures. I forgot to include “Little Colonel” series, “The Four Little Blossoms”,Little Women,”Little Men”,”Jo’s Boys”,”365 Storybook”,”A Garland For Girls’,”Cousin Rose”,”Boxcar Kids”, ” Princess Parables” Series, “The RailwayChildren”,”Pinkalicious”,”Amelia Bedelia” ,”Three Young Pilgrims”. Love all your beautifully bound books. Are they sets? I just purchased another copy of The Secret Garden. Has always been one of my favorite books and have read it many times. 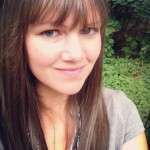 Love your blogs and love reading them again and again! The Honey Bunch series,The Bobbsey Twins,Nancy Drew,All Of A Kind Family,Mandie,Pollyanna Series,Five Little Peppers,The Martins,Margery series,Camp Fire Girls,Girl Scouts,American Girl series,Dear America,The Northwest Adventures,Secret Garden,Ramona,Ballet Series,Saddle Club, The Baby Sitters Club. Linda Craig,Ballet Shoes,Riding Academy, All the Marguerite Henry Horse Books and Beverly Gray.An Old Fashioned Girl,and Under The Lilacs. I can not believe I left out “Patricia of Silver Bush” series my favorite Lucy Maud Montgomery books. Also left out “Black Beauty”. “Kate”: The Menonite Series,”little Princess’,”The Secret Garden”,”Honey Bunch” Series, Ramona,”The Moffits’,”All of a Kind Family”,The Bobbsey “Nancy Drew”,Hardy Boys”Twins”,”Little Women”,”Thoroughbred”Series,”Beverly Gray,”Anne Of Green Gables”,”Little House” series, All the Marguerite Henry” Series,”Mandie”,”Elsie Dinsmore”,”Dear America”,”Nancy Drew”,”Linda Craig” series,”Caitlin” series,”Saddle Club”,Babysitters Club”, “Magic Attic”,”Hitty”,”Raggedy Anne” and “Andy” ,”Drina”,Ballet Shoes and the others in the series, “Ballet School”,”A Child’s Garden of Verses”,”Madeline’,My “Golden Books”,”American Girls”,”Betsy Tacy”,”Nancy Drew’,Hardy Boys, “Ice Skating” and the “Swimming Series”, The “Tinkerbell” Series,”Sweet Valley High”,”Sarah,Plain and Tall”,”Strawberry Girl”,”Misunderstood Betsy”,”Beatrix Potter”,”The Hedge School”,”The Secret Of The Shamrock”, Many Books about Saints. So many of the books mentioned bring back wonderful memories! I was very fortunate that my mother loved to read to us (me, 2 sisters, and 1 brother) especially in the evenings at the beach in the summer. She read us the original “Pinocchio,” “Myths and Enchantment Tales” (mythology with gorgeous illustrations. (I still have a copy of it. ), Fairy tales by the Grimms brothers and Hans Christian Andersen, Dr. Seuss books. I loved a favorite of hers from her childhood: “Mrs. Wiggs of the Cabbage Patch.” On my own I read and loved lots of horse books by Water Farley, Marguerite Henry and others, the Nancy Drew series, “The Secret Garden,” “The Yearling,” “Charlotte’s Web” (I always read that to my third graders. Yes, there were some tears when Charlotte died. ), a series of books from the library about twins living during different times and in other cultures. As a teacher of kindergartners and third graders, mother of a son and daughter, and grandmother of two adorable granddaughters, I’ve gotten to do a lot of reading aloud–a favorite part of teaching, mothering and grandmothering! The joy of reading is without limits!